Perspecta will continue to help the U.S. Army develop and integrate tools for the U.S. Army‘s human resource system under a potential $23.5M contract. The follow-on contract has a base period of 10.5 months and includes security and exercise operations, risk management, network engineering, application portfolio and asset management and service desk support. Mac Curtis, president and CEO of Perspecta and a four-time Wash100 winner, said the company uses its network transformation and application management experience to help the military service address mission readiness goals. The Army HR system employs personnel-related systems and tools designed to help the branch manage all active personnel, provide online records to enlisted soldiers and allow commanders and staff to determine readiness, status and in-theater accountability. 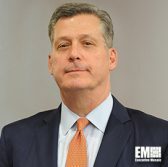 Perspecta said its legacy companies has worked with the Army’s program executive officer for enterprise information systems for more than 19 years to sustain AHRS.